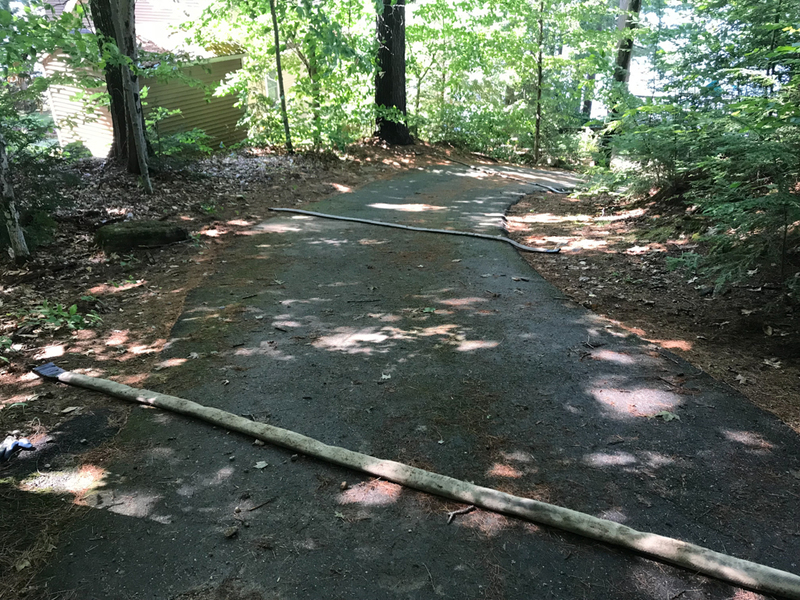 Purpose: The goal is to divert water off of paved driveways as quickly as possible into vegetation or an infiltration BMP where it can be controlled and soak into the ground. 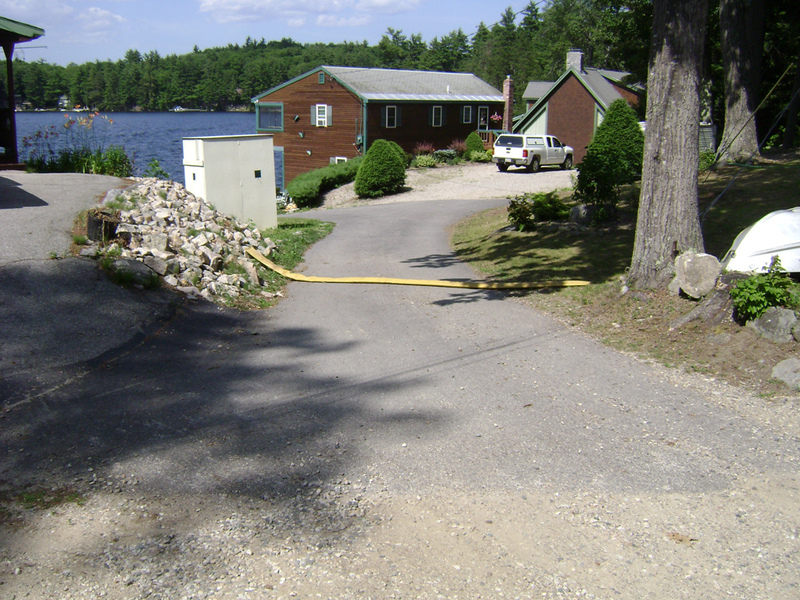 Firehose diverters work great for homeowners that plow in the winter. 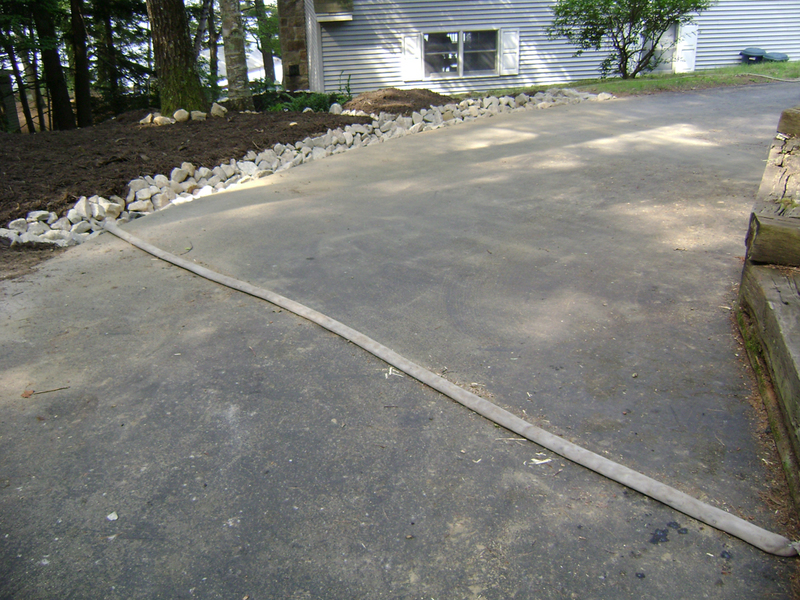 You simply drag the hoses off your driveway in the fall, and put them back in place in the spring. Tip: Firehose diverters can be added in conjunction with other BMPs. 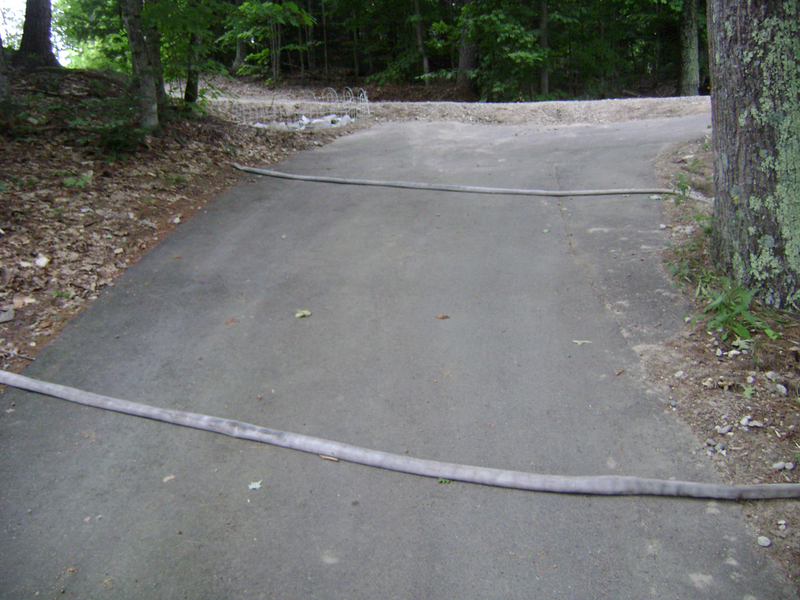 For example, these BMPs can direct runoff into rain gardens or infiltration trenches. 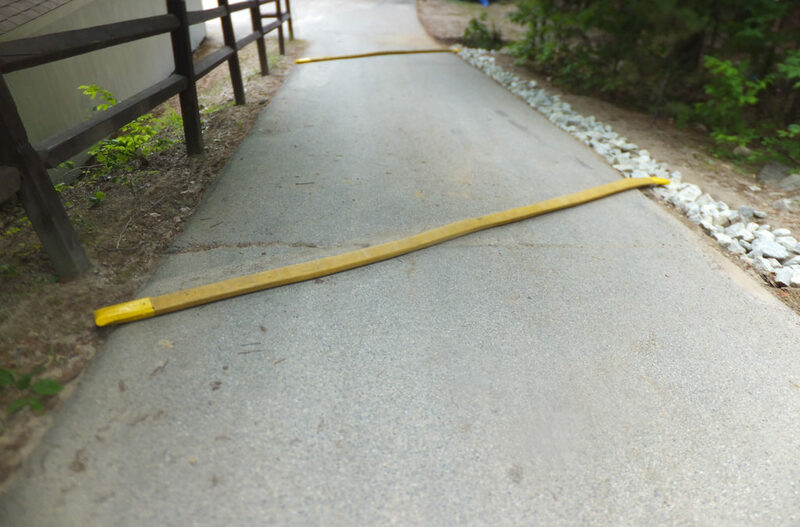 Installation: Install the firehose diverters at a 30 degree angle to the road edge and point the outlet toward a stable vegetated area. Materials: Firehose diverters are constructed using old firehoses. Fill the firehoses with play sand from any local hardware store, and secure the ends of the hose with duct tape. Tip: Ask local firehouses if they have any old hose that they are willing to donate. 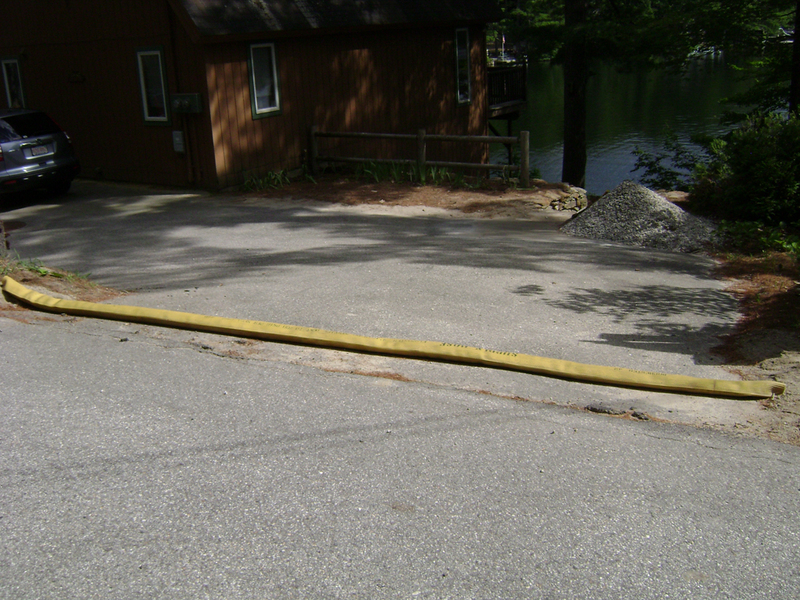 Fire departments often have damaged hose that is not longer useful to them and often thrown away. However, these damages do not impair the hose’s ability to act as a water diverter. Maintenance: To maintain these BMPs, periodically check for holes and degradation over time. Replace hoses as needed.